Students across CCRSB are embarking on the trip of a lifetime! 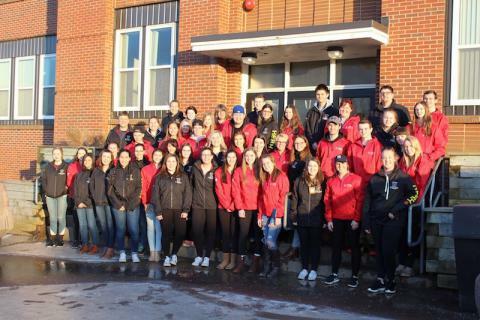 CCRSB Students and staff are making the journey across the ocean to celebrate the 100th Anniversary of the Battle of Vimy Ridge. Students will be taking part in this incredible ceremony and will gain a better understanding of the historical importance and significance of Vimy Ridge. Hants East Rural High has 41 students and six staff members that have left today to take part in the celebrations. This trip will also include educational experiences throughout Amsterdam, Normandy, Paris and London. The HERH student council has organized a “Vimy 100 Ceremony” viewing for Sunday, April 9th. Those wishing to attend can do so for free at HERH in the AV room from 10am-2pm!